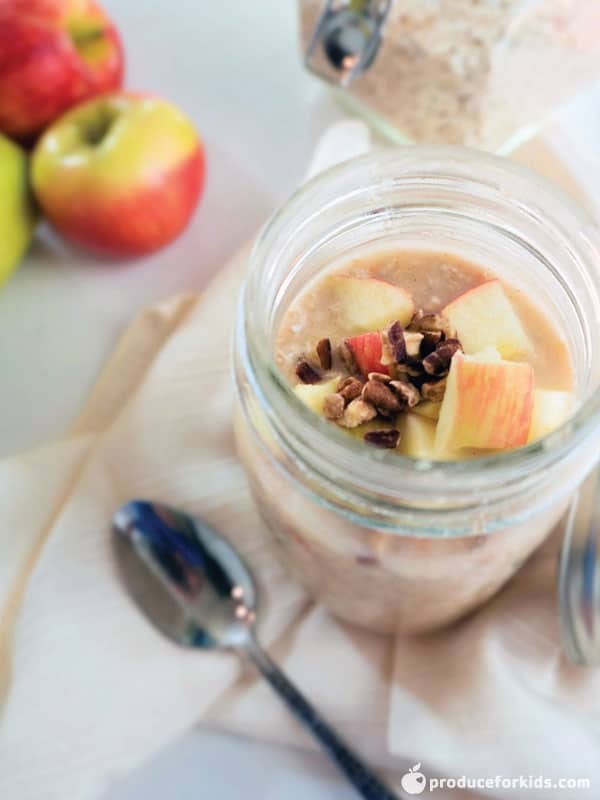 This healthy fall-inspired treat is a spin on the traditional candied apple. Serve as an after-dinner dessert or as a treat at a fall birthday or Halloween party. 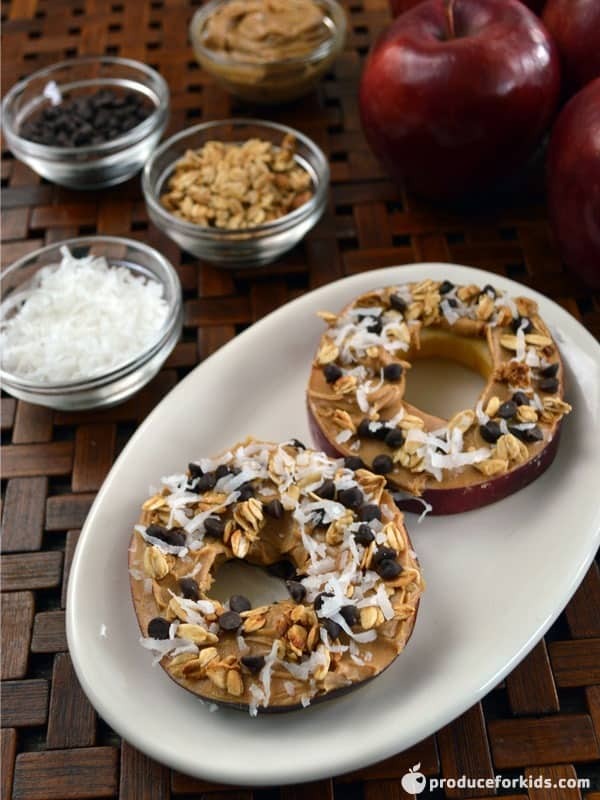 Roll skewers in additional toppings like ¼ cup crushed nuts, shredded unsweetened coconut or chopped dried fruit, before caramel sets. Microwave caramel dip on HIGH for 15 seconds, or until thin. 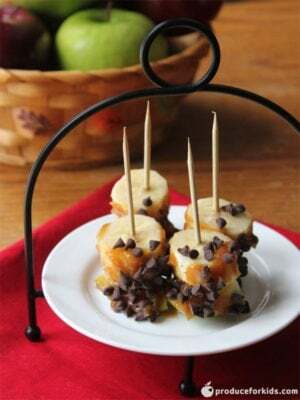 Slide one piece apple and one piece banana onto each skewer. 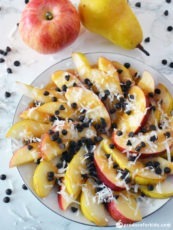 Carefully spread caramel on fruit and sprinkle with chocolate chips. Place in fridge and let set 10 minutes before serving.